The Yeshivah of Flatbush stage has been bustling with activity for the last few months as the cast of Fiddler on the Roof has worked to recreate Anatevka right in their own auditorium. 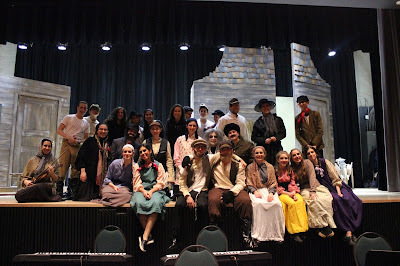 From Tevye's skillfully decorated home, to the town's fully stocked tavern, to the costumes that are straight out of Russia in the early 1900s, the cast and crew of over 40 students has been working round the clock to get every Anatevka "tradition" just perfect. 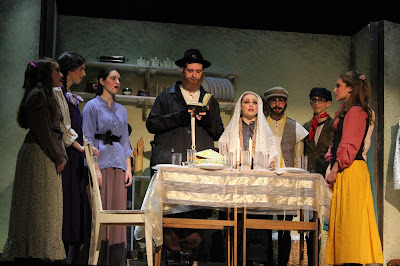 Under the direction of Ms. Sally Shatzkes and in collaboration with Set Designer Ms. Rebecca Grazi-Siev and Costume Designer Ms. Rachel Hasson (mom to Hannah and Aida), the students have captured this time in Jewish history through their stellar acting and beautiful singing...and they do it all in HEBREW! Thank you to Mr. Brian Gelhand, choir director, and Mr.. Joel Hessel, orchestra director, for their help as well. 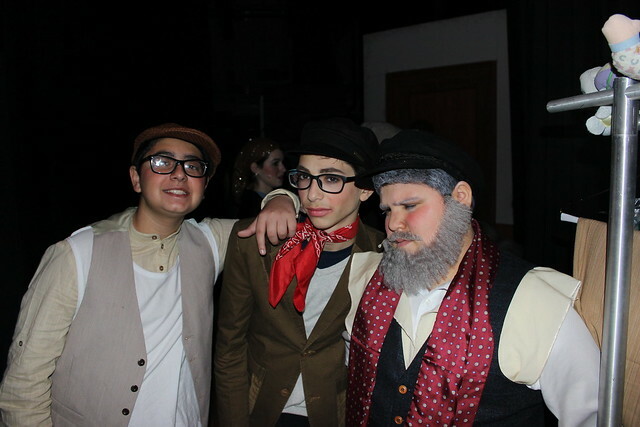 The annual Jason Botnick Memorial Hebrew Play is a time honored tradition at Flatbush. 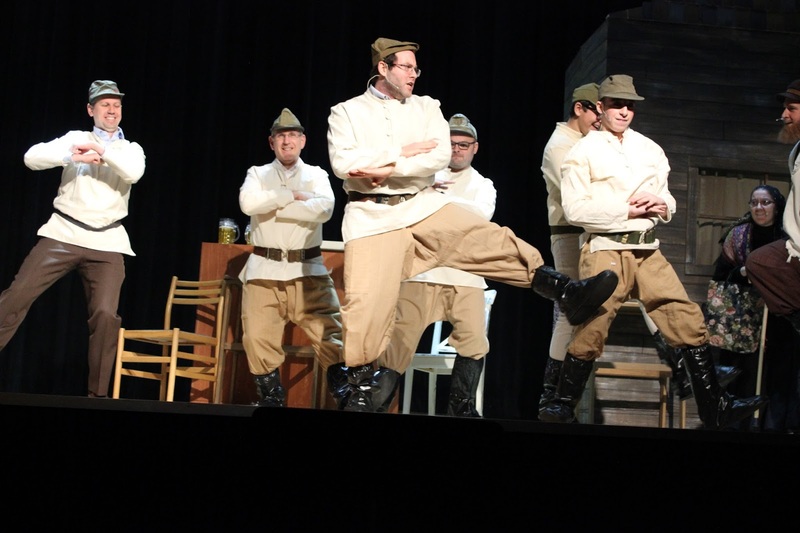 And while it is a blast for the audience to watch each year, it is an even more incredible experience for the students who participate in the show. This year the students gained a deeper understanding of the historical context in which Fiddler happens and a greater appreciation for the freedom we have as Jews today. 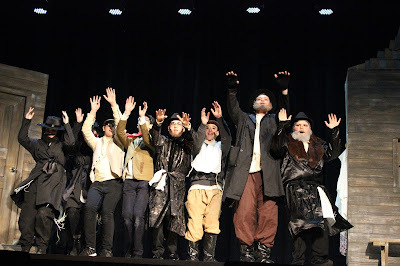 Furthermore, as they do each year, the students in the Hebrew Play learned the critical values of teamwork, responsibility, and commitment to an ensemble project in which each students success relied on the others' dedication.